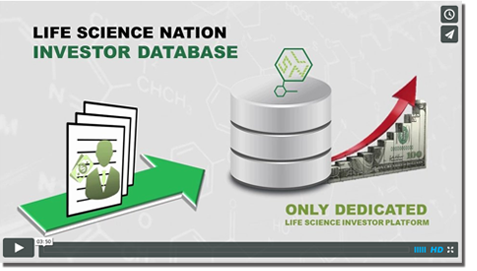 LSN regularly works together with emerging life science firms looking to raise capital in order to move an asset forward. Though there are some fundamental rules of the road when navigating the ever-changing investor landscape, much of this process must be tailored to the particular company. Often, when asked how a company should compose a target list of investors to go after, we explain the principles of inside-the-box and outside-the-box approaches to investor prospecting. This article explains the basic idea behind both, and how your life science company may benefit from each or a combination of the two. The inside-the-box approach is fairly simple and intuitive – the idea is to take some time to conduct a survey of the past investment history of a pared-down list life science investors that have already committed capital (voted with cash) to look-alike companies with similar products to yours. What I mean by this is companies with products that would be considered in the same general orbit (e.g. small molecules in phase II targeting cancer). If you think about it, these investors have already educated themselves, created a mandate to invest in your specific arena, and made allocations. These investors already get what you do and they understand the critical points to examine during due diligence to justify an investment. There are many ways to gather this investor data; LSN has this data readily available, or you can conduct the research on your own by looking through investor portfolios. Once this list is created, it is a very powerful tool. First off, you know everyone you reach out to is already a fit to some degree. They get you, your company and your products! It is more than likely that if you are diligent and you have tenacious follow-up, you will more than likely be able to close the investor down on an introductory call, and hopefully, secure an audience with the investor. And as we’ve said many times before, investor fit is really the key to allocations of capital. The outside-the-box strategy addresses the one shortcoming of the inside-the-box strategy. That shortcoming is the fact that historical data is exactly that – historical! The investor arena within life sciences is constantly shifting, and there are constantly new investors looking to enter the space, and many previous investors are either tapped out of capital or have moved away from the space. This is where it becomes advantageous to find what we in the financing realm call “opportunistic investors.” Typically, an opportunistic investor’s modus operandi is essentially “cafeteria investing.” That is to say, if something interesting comes onto the radar screen, the opportunity passes muster and we like it…then we will invest. On the surface this may sound like a cavalier investment strategy; others in the know might call it adroit. Adroit, because it has the capability turn on a dime without being encumbered by a restrictive mandate and has the ability to react to something that is hot or interesting. Opportunistic investors can be in front of the curve, and if they are in the right place at the right time, they are often are the first movers in disruptive areas of innovation. There are plenty of opportunistic investors because they are seeing the wealth of investment opportunity in the vacuum that now exists through the lack of capital in the early stage VC segment. These entities often include family offices, angel groups, and in many cases, early-stage corporate venture funds. By employing both of these strategies effectively, an emerging biotech can quickly and easily navigate the global investor space tactically, leading to faster dialogue generation and a quicker route to allocations.